Size of this preview: 800 × 537 pixels. Other resolutions: 320 × 215 pixels | 640 × 430 pixels | 1,024 × 688 pixels | 1,280 × 860 pixels | 3,038 × 2,040 pixels. 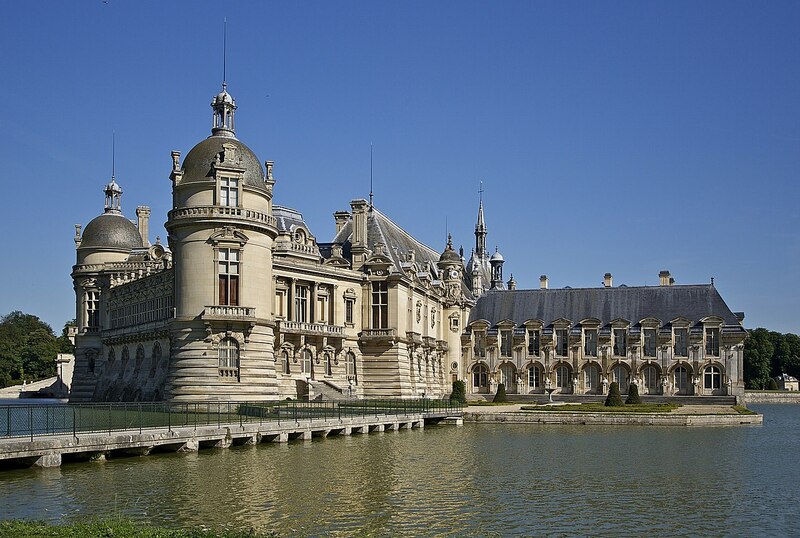 English: Chantilly castle, Oise department, France, as seen from north-west. Français : Le Château de Chantilly, dans l'Oise, France, vu du nord-ouest. Русский: Замок Шантийи, департамент Уаза, Франция, вид с северо-запада. This is a retouched picture, which means that it has been digitally altered from its original version. Modifications: Usual level improvements. Perspective correction. Light denoising and sharpening. With GIMP. This page was last edited on 28 February 2019, at 11:23.